A speechwriter never gets the credit. His talents go unrecognized and any dreams of recognition forever deferred to a prettier face. While the Speechwriter watches, his client grows strong on his words and swallows his inspiration whole. Every speechwriter knows what it means to look for happiness through the eyes of another. And every underdog needs an anthem. Hollywood College is Dave Lowensohn and Misha Chellam’s groundbreaking second album of smart guitar pop wherein they find themselves dreamers on a collision course with reality. The melodies evoke men who almost got the girl and lovers calculating the lost days of a long distance relationship. Its underlying angst and yearning catalogues what it means to be liberally educated and underemployed in the first part of the 21st century. 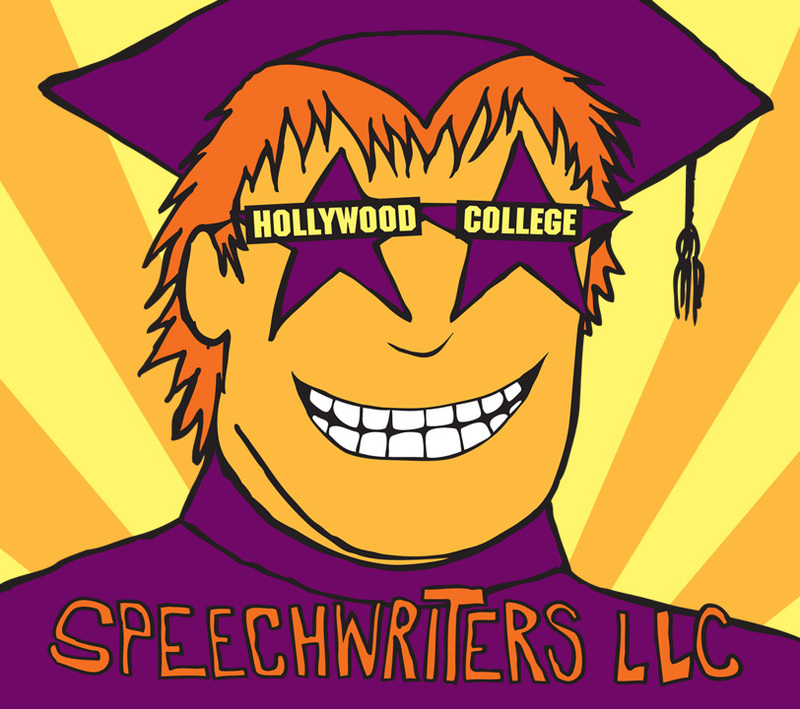 Recorded over four weeks in the shadow of the Coney Island ferris wheel, for Hollywood College Speechwriters LLC once again teamed up with producer Adam Richman (Sandlot Heroes, Making April). The slick gear-packed studio was a step up from their first album The Bull Moose After Party, which was recorded in Richman’s parents’ basement. Despite its humble beginnings, The Bull Moose became an underground college sensation, selling out subsequent print runs and registering several million online radio plays since its 2004 release. Speechwriters LLC was initially conceived as a cautious alliance between West Coast songwriters Dave Lowensohn and Misha Chellam, who quickly became inseparable and spent most of the Bush years touring the country in borrowed minivans. They have since managed to strike a delicate balance between California sunshine and Northwest navel gazing, resulting in a weirdly three dimensional folk-pop that resonates with Red and Blue staters alike. The Speechwriters have toured 38 states, won countless, meaningless awards, and once loaned Jay Farrar their amp. Dave Lowensohn (vocals/guitars) is a veteran of Portland’s music scene and a regular on the college tour. When he’s not the unrecognized face of Speechwriters LLC, he plays bass in Ramona Falls and Lost Lander. Misha Chellam (vocals/guitars) is a globetrotting techno-nomad who has worked on MIT’s One Laptop Per Child program and been a coordinator at TEDx. Besides ghostwriting his own speeches, he has been instrumental in making Speechwriters LLC more famous in Southeast Asia than they have any right to be. More pictures can be found in our Facebook gallery.